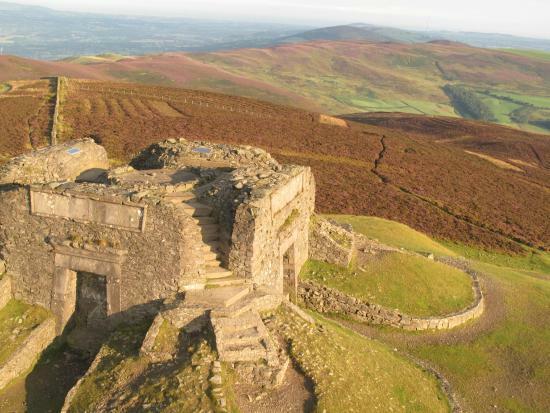 The Excalibur Marathon and Half Marathon are gruelling trail races through the beautiful Clwydian Mountain range in North East Wales. The 26.2 mile route has 5,500 ft of climb and the Half Marathon route has over 3,000 ft of climb. Originally conceived as a charity fund raiser by Claire House, a children’s hospice, the event has gradually attracted greater numbers of trail runners. Our very own Nigel Crompton, owner of The Runners Hub, has been involved in the organisation of Excalibur since the early days and now the whole event has been taken over by us. You can sign up for entry into the event by clicking here! Click here to keep up to date via the Excalibur website.